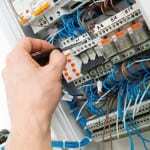 Our residential electricians are known throughout the Huntersville, NC area for top-notch workmanship. 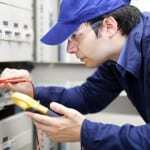 Residential Electrician in Huntersville – An electrical problem is something that can cause a lot of frustration in your home. If you are trying to watch a movie with family members or get some work done, a faulty wire or short can lead to the TV or computer shutting off or restarting at inopportune times. As DIY TV shows and online tips have become more popular, homeowners might think that electrical problems are easy to fix themselves. However, this type of work can be dangerous if you don’t know what you’re doing. Electrical shocks and further damage to the wiring are just a few of the problems that can occur. At Lamm Electric, we have residential electricians who can troubleshoot and repair electrical problems quickly and efficiently. 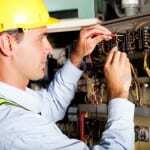 All of the electricians on our team have at least two decades of experience and have repaired many types of problems. We are known throughout the Huntersville, North Carolina area for our quality products and top-notch workmanship, which has encouraged many of our clients to come back to us for repeat service. Some of the most common tasks that a residential electrician might perform include rewiring fuse boxes, electrical repair, rewiring of lighting systems, access control rewiring, and repairs of a variety of electrical devices and systems. Our service is prompt and reliable, and our pricing is reasonable. 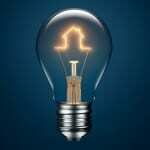 When you need a residential electrician to fix an issue in your home, contact us to get the job done right.